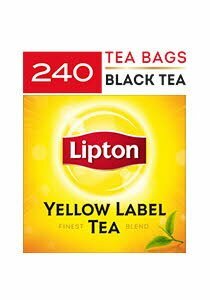 Specially blended to create that distinctive Lipton flavour you love and packed in a cost-effective pouch bag format. Great for efficient brewing in large-scale operations such as large food establishments and functions. Suitable for making both hot and ice tea. 1. Pour 1200ml of hot boiling water per pot bag. 2. Leave for 2-3 minutes. 3. Enjoy with sugar, milk and lemon as you like. The tea leaves are hand picked close to the bud for quality tea and the finest taste. Theanines is naturally contained in black tea leaves. It is said that Theanine helps bring you a relaxed but alert state of mind.